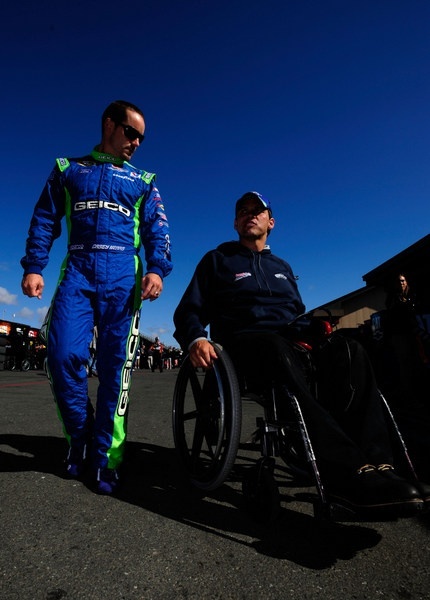 A late afternoon thunderstorm, which prompted officials to clear the grandstands, washed out qualifying Friday, and that puts Casey Mears and Brad Keselowski up front for the 7:30 p.m. ET start of Saturday night's Bristol Irwin Tools 500. 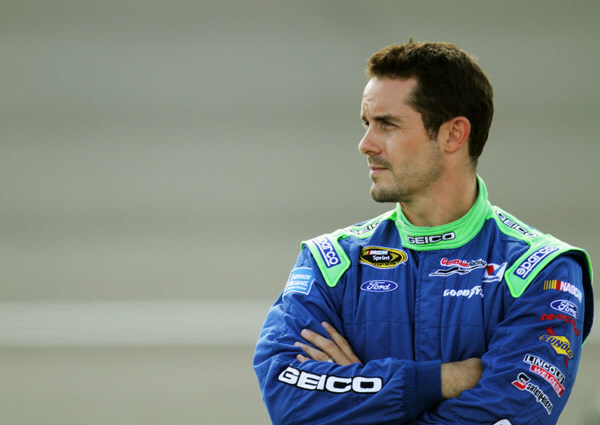 And it puts Jimmie Johnson in a deep hole. When it rains like this, NASCAR now uses speeds from the first round of practice to set the field, and Mears, driving for an underdog team, was fastest (122.209 mph around this fast half-mile, 15.701 seconds). Danica Patrick, making her first Sprint Cup start here, was slowest among the 47 Cup drivers. So will this 'trick' rear-end suspension that Johnson and the Rick Hendrick teams have been using for more than three months work as well on this tight track as it clearly does at high-speed big tracks like Indianapolis Motor Speedway and Michigan International Speedway? Maybe the 130,000 fans that track owner Bruton Smith expects here will get to find out. "I saw some people with a little bit of it," Keselowski says. "Does it work as well on a short-track like this as a big track? Guess we'll see. "I'm thinking we'll know about lap 250." What is the deal on this 'trick' that Hendrick's teams and now Jack Roush's teams too are using, to gain speed in the corners at high-speed tracks? No one is exactly showing it off. However NASCAR officials say it's all legal, no gray area. So is Keselowski now putting the trick piece on his cars too? "Maybe," he says with a grin. So is this 'trick' like those $15,000 high-pressure radiators, now outlawed, after being used for years -- legal at one time because they weren't specifically illegal because no one in Daytona quite understood what was going on? Until NASCAR lays the piece out for public display, it may be hard to say. Or maybe Keselowski is just playing some championship head games with the Hendrick guys. Johnson, who had a Michigan win in the bag until his engine broke with 12 miles to go, seems a bit miffed over Keselowski. "He likes to talk a lot, and he says a lot of things," Johnson said. "I don't know what his strategy is. He is a very strong driver, with a very strong team. "There has been a lot of discussion during the week -- and it's certainly coming from his post-race interviews. "Everybody is entitled to an opinion, but I think you need to have your facts straight and understand what's going on. "Our car has been through inspection multiple times, and there's nothing out of line taking place." Teammate Dale Earnhardt Jr. too. 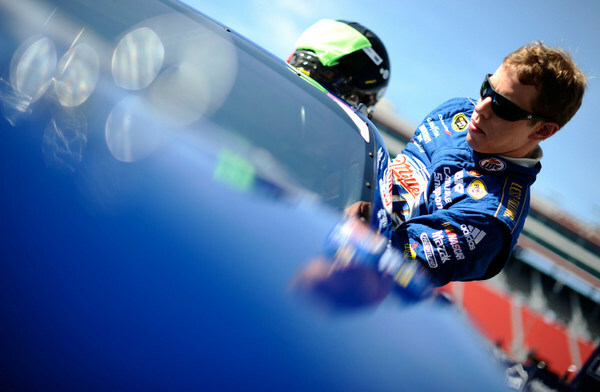 Keselowski broke into the big time while driving for Earnhardt: "I do know Brad pretty well. Brad is a really good guy. He has a pretty good heart. "He is a really great race car driver, and I wish he would concentrate on that. I think he likes to talk a lot... but I think his true skills shine on the race track, not really behind the microphone. "Me and Brad are friends; I don't want any drama with Brad. "I don't particularly like the things he says lately about the company I drive for. I take offense to the claims and accusations. It's just natural for me to do that. "But we're friends, and I don't want any drama between him."